Five days a week we ask teens to go to school and learn from adults who are older and wiser than them. But what if we gave students a day to learn from each other? What new things would they discover? This is the concept behind Queens Community House (QCH)’s Annual Youth Leadership Conference, now celebrating its 18th year. The Youth Leadership Conference (YLC), which will be held on May 20 from 3-7 p.m., represents the annual culmination of QCH’s youth leadership programming. Participants from QCH’s Access For Young Women (AFYW) program host the event and coordinate its agenda, while program participants from various teen programs are involved in planning and presenting the conference’s workshops. AFYW provides training in public speaking, assertive communication, goal setting, and critical thinking for women ages 12-18. For the YLC, the participants are trained to develop and lead their own workshops. The young women work in small groups, choose their topic, research and facilitate the learning sessions. Gamonski believes the year-after-year success of the conference stems from allowing the participants to choose the topic and format of their workshops. To register for the 18th Annual Youth Leadership Conference at Queens Community House’s Forest Hills Community Center (108-25 62nd Drive, Forest Hills, NY 11375), contact Tabitha Gamonski at tgamonski@qchnyc.org or call 718-592-5757. 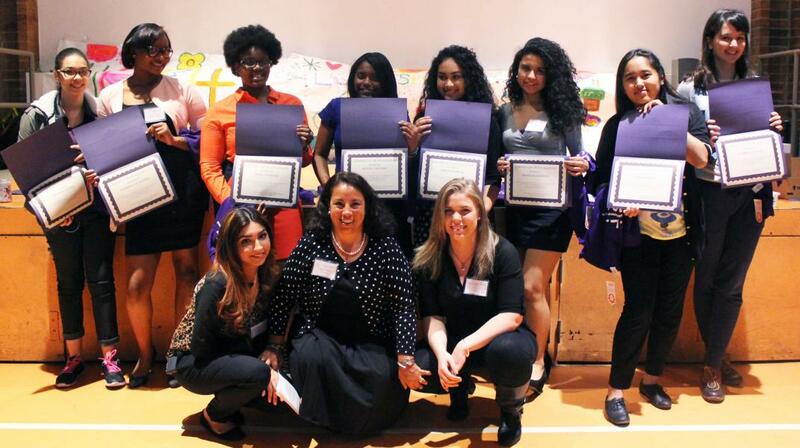 With 18 years of building up strong young women, the AFYW program continues to be recognized for its success. The AFYW program was recently highlighted in a new large-scale, national impact study conducted by News Corp, Algorhythm, and Youth, Inc. called "The Art & Science of Creating Effective Youth Programs." The report examined four key drivers of success in promoting social-emotional learning among youth. AFYW was shown to have the "secret sauce" needed to run effective youth programs, and director Tabitha Gamonski presented on the topic at a symposium for youth development practitioners, furthering the program’s values beyond the borders of Queens.